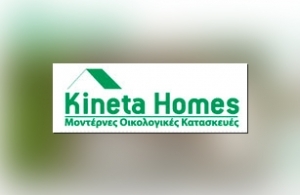 Kineta Homes is a innovative company of construction and selling of eco homes, focusing on the protection of the environment and the energy saving, in everyday life. For such an innovative company, intros.gr developed a dynamic flash CSS, for the optimum presentation of the photos, in combination of a "smart" eco design by intros.gr's team. In intros.gr, we believe that a well designed and developed website is a powerfull tool, which guarantes the growth of the company using the power of Internet. Do not hesitate to contact us or to request a quote for your own idea.